In its appearance at EIA’s annual Energy Conference last week, Wood Mackenzie gave a presentation on crude oil exports, saying that U.S. crude oil exports rose in tandem with U.S. oil production following the repeal of the U.S.’s 40-year crude oil export ban in December 2015. The growth was fueled primarily by greater production in North Dakota and Texas, with the increase in operating oil rigs in tight oil plays. 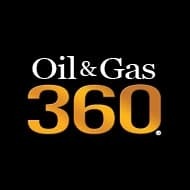 In an outlook to 2025, Wood Mackenzie predicted that the majority of U.S. production growth would stem from the Wolfcamp—with even small increases in Permian productivity granting large increases in the oil production forecast. The growth in light U.S. oil supply may run against the United States’ ability to process additional light oil, with few capacity additions expected. The reduction in U.S. refining capability increases the likelihood of growth in tight oil exports to European and Asian markets. European markets may be more able to absorb U.S. light crude exports, due to the lower shipping cost and Europe’s need for a larger portion of light crude in its refinery crude mix.